***Please note that the pink flowers currently in stock are darker then the wreath pictured. A photo of the try pink color is shown. 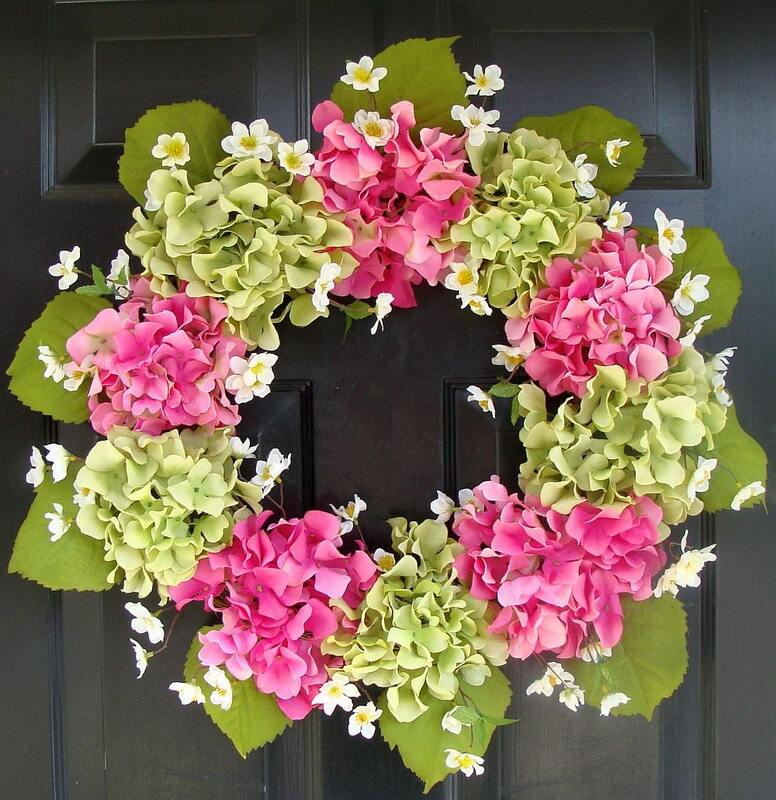 My popular silk hydrangea wreath is now available. 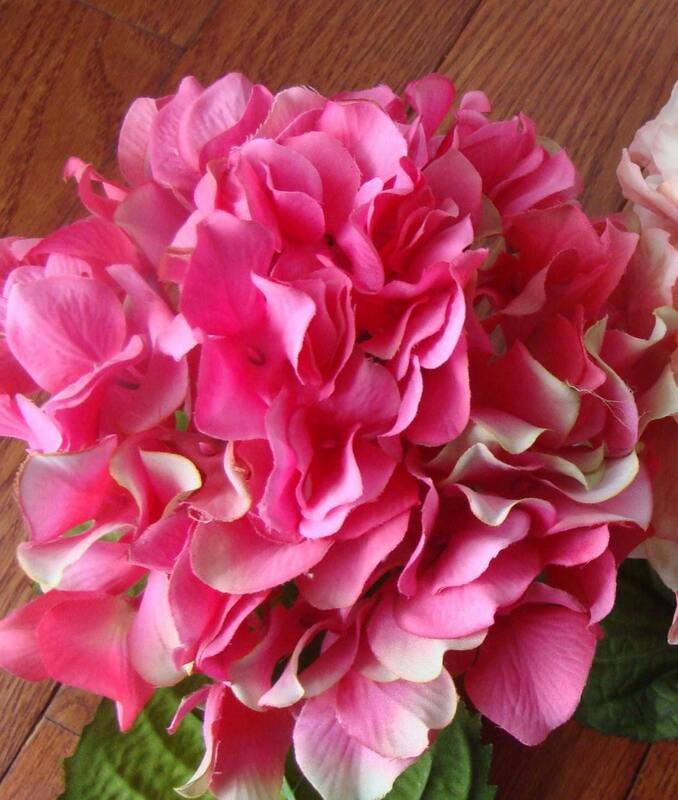 Beautiful shades of pink and green hydrangeas are alternated together and accented with white blossoms and hydrangea leaves. 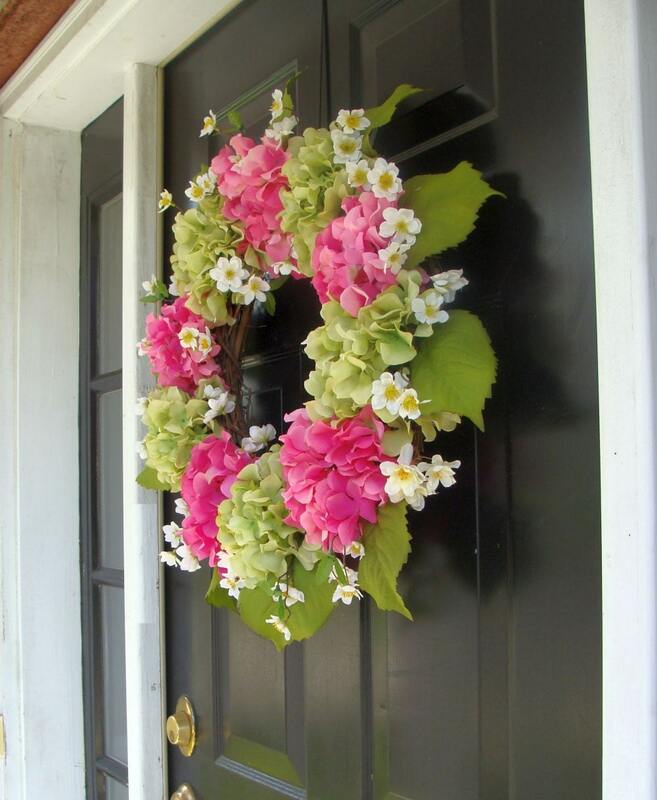 As with my pink tulip wreaths, this wreath sold out quickly last year! Thank you to my customers! Composed of 10 large hydrangeas, this extra large wreath is 25 inches in diameter (with foliage)and 5-6 inches thick and will look stunning on any front door or indoor decor. It is a great transition piece because you can use it now through summer. So for those of you who don't have a spring wreath yet or are looking for a great gift for mom, this gorgeous wreath will work for you! 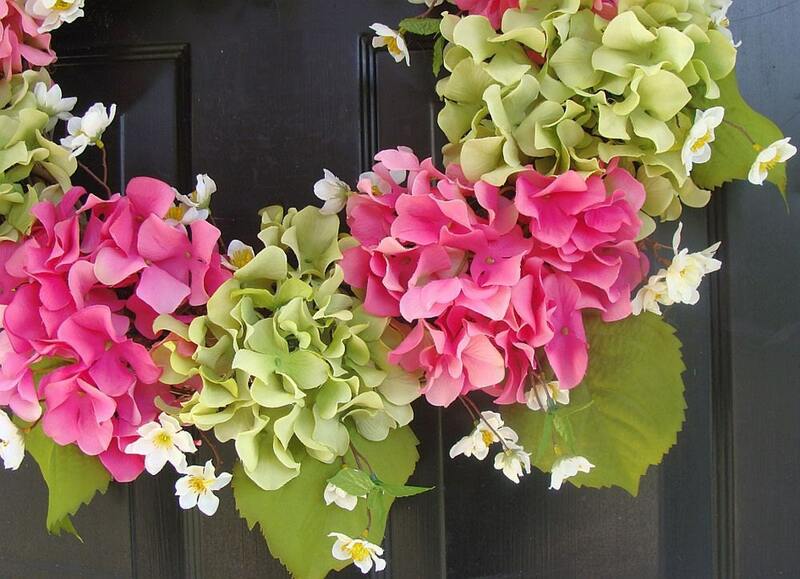 Hydrangeas are also used year round so why not make this a permanent home decor piece? Convo me or see my shop (www.elegantwreath.etsy.com) for other sizes, colors, ribbon additions, etc. I love working with my customers to create the exact piece for their decor! International shipments- I ship anywhere. Please convo me for exact pricing! Superbe! Colorée et très estivale! Have ordered many wreaths always pretty and very well made! 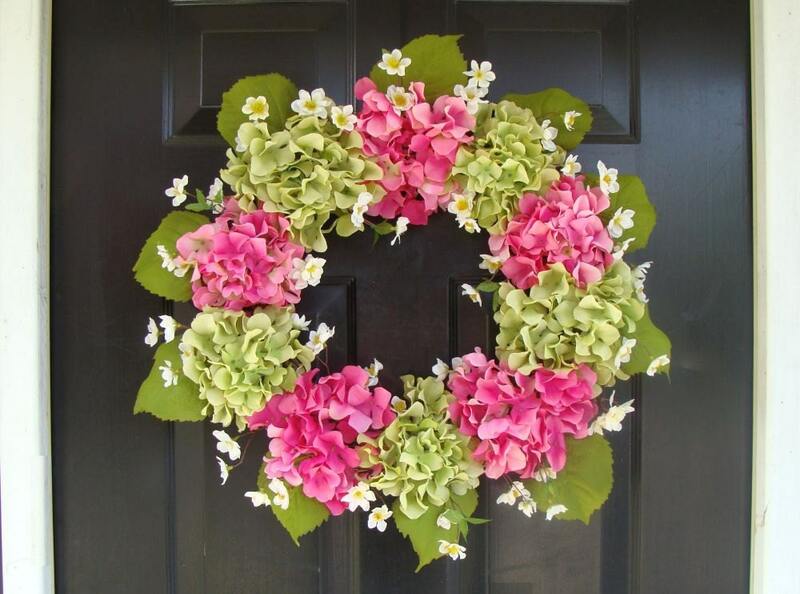 Pretty spring wreath. Thanks!! Great shipping with no damage to the wreath. Thanks!